There are so many wonderful poems and quotes that have been shared with us throughout the years and we would like to in turn share them with all of our friends. If you have a favorite poem or quote that is not listed please feel free to send it to us. We would love to add to our library. We would like to share the following poems with all of you in tribute to the precious foster and forever pupsters in our lives. We feel blessed that God led us into rescue. We have learned so much about arthritis, nutrition, seizures, bladder and kidney disease, heart disease, skin problems, chronic ear infections, diabetes, etc. 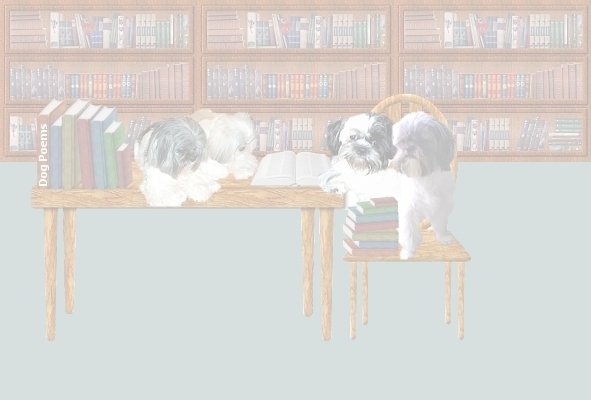 We have also learned that our precious pupsters can overcome many behavioral issues with education, a lot of patience, understanding and love. We would like to share some helpful websites with our friends. Please see the below links for Dog Health and Behavior. With the recall of many commercially made dry and canned dog foods, we have many dog guardians asking about nutrition. We compiled the information at Nutrition. Important: Please discuss these articles with your veterinarian before making any changes in your dog's medical care, diet, or daily regimen. 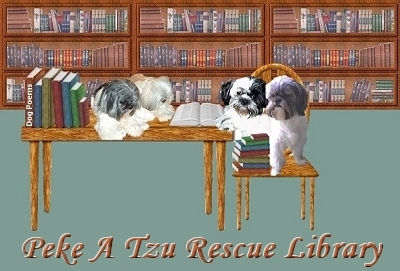 Graphics are the property of Peke A Tzu Rescue. Do not take anything from the site without permission.